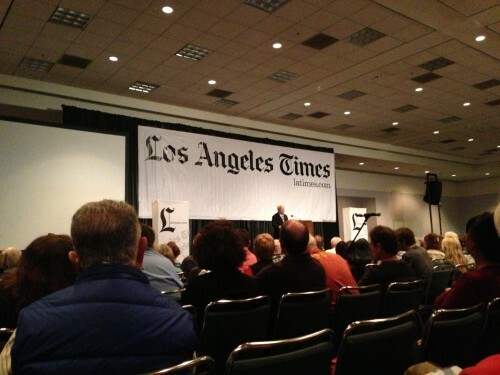 As I mentioned in my last post, Arthur Frommer gave one of the talks at the LA Travel Conference last weekend. The topic was travel trends and hot destinations, which are two topics that often change year after year, so we were excited to see what he had to say. Some things came as a surprise or were new to us, while others were expected but nonetheless interesting to hear about. Substitution of apartments and homes for hotel rooms. Not only can you save some money, but often apartments and homes will be more spacious (with extra amenities such as kitchens) and you might be able to score a great location. Some sites to check out include vrbo, airbnb, and Endless Vacation Rentals. While we have yet to use one of those sites, we did choose to rent an apartment in Paris, and loved the experience! Nickel-and-diming of airline passengers. While this isn’t necessarily new information, it does serve as a reminder to check for hidden fees when booking flights. Rise in operation of cheap intercity buses. BoltBus (operates in the northeastern US) and Megabus (operates in US and Canada, as well the UK) offer an alternative to driving, taking the train and flying between big cities. The best part – prices are very competitive and as low as $1 for a trip! Rise in popularity of European river cruises. They stop right in the heart of each city, but can be a bit pricey. Frommer has been on several and noted that the majority of travelers were older (and those that were young appeared to be bored). I’ve always wanted to try out a river cruise, so I’ll keep this in mind before booking. Walking tours. But not just any walking tour – book a tour by specialists or someone in academics to ensure accurate information. Some of the recommended sites: Vayable, Urban Adventures, and Context Travel. Many of the walking tours guarantee small groups, which usually means a much more enjoyable experience. Rise in popularity of “learning vacations.” For a different type of vacation, check out summer programs at top universities that are open to more than just the students. Not only can you take classes with interesting subject matter, but the packages include accommodations and dining – both at the college. Frommer mentioned courses at the following universities: Oxford, Cambridge, and St. John’s College. Increase in free accommodations. Stay for free on someone’s couch! Couchsurfing, Global Freeloaders, and US Servas offer similar services – connect online through the site and find a host in the desired city. This isn’t for everyone, and not something I would try on my own, but for some people in certain situations, this is a great way to cut down on travel costs. Ireland. Cheap airfares and even vouchers for transportation and accommodations through Aer Lingus make Ireland a hot destination this year. India. The currency conversion between the US dollar and the rupee is advantageous at this time. While the flight there may be expensive, staying in India will be cheap! Dubai. This is the perfect location for luxury, but possibly not much else. Frommer brought up the lack of culture, so this may not be the top destination for all travelers. Miami and Miami Beach. Always a hot destination, with plenty of authentic South American restaurants without leaving the country! Colorado and Washington. In all honesty, I’m not sure if these two actually made the list, or if Frommer was making a joke. The reason they made the list is the recent legalization of marijuana in the two states. So there is it – the list of trends and hot destinations straight from Arthur Frommer. My favorite bits of information from the talk include the learning vacations and China as a cheap destination. Frommer was very lively and clearly enjoys travel – it gives me hope for when we are older and still want to travel the world! This entry was posted in Travel and tagged transportation, travel, travel planning by Kristin. Bookmark the permalink.